Angelique Chrisafis and Jon Henley, “Brussels suicide bombers identified as police hunt suspect caught on CCTV,” Guardian (London), March 23, 2016, http://www.theguardian.com/world/2016/mar/23/brussels-suicide-bombers-named-el-barkaoui-brothers. “Brussels explosions: What we know about airport and metro attacks,” BBC News, April 9, 2016, http://www.bbc.com/news/world-europe-35869985/. On April 13, 2016, ISIS released the 14th installment of its online English magazine, Dabiq. In it, the group boasted of its deadly terrorist attacks in Belgium and eulogized four of the group’s Belgian based “martyrs,” including Laachraoui.“The Knights of Shahadah in Belgium,” Dabiq, April 13, 2016, p.7, https://azelin.files.wordpress.com/2016/04/the-islamic-state-22dacc84biq-magazine-1422.pdf. Following the release of the issue, two French journalists and former ISIS hostages—Nicolas Hénin and Pierre Torres—identified Laachraoui as one of their former captors, who, at the time of their captivity, went by the name “Abu Idris.” Laachraoui was named in Dabiq by the alias, “Abū Idrīs al-Baljīkī.”Aurelien Breeden, “ISIS Ex-Hostages Identify Brussels Suicide Bomber as Captor,” New York Times, April 22, 2016, http://www.nytimes.com/2016/04/23/world/europe/isis-ex-hostages-identify-brussels-suicide-bomber-as-captor.html. While in Syria, Laachraoui was also reportedly linked to British ISIS operative Mohammed Emwazi, known widely as “Jihadi John.”Robert Verkaik, “Revealed – Bombmaker behind Paris and Brussels terrorist attacks was a key member of Jihadi John’s beheading gang,” Daily Mail, April 19, 2016, http://www.dailymail.co.uk/news/article-3547257/Bomb-maker-Paris-Brussels-terrorist-attacks-key-member-Jihadi-John-s-beheading-gang.html. Laachraoui reportedly belonged to the ISIS cell that oversaw hostages James Foley and John Cantlie. Laahcraoui’s group handed both men over to Emwazi, who later executed Foley.Robert Verkaik, “Revealed – Bombmaker behind Paris and Brussels terrorist attacks was a key member of Jihadi John’s beheading gang,” Daily Mail (London), April 19, 2016, http://www.dailymail.co.uk/news/article-3547257/Bomb-maker-Paris-Brussels-terrorist-attacks-key-member-Jihadi-John-s-beheading-gang.html. ISIS heaped praise upon Laachraoui, calling him “a unique man, possessing excellent manners, always in the service of his brothers, and very intelligent.”“The Knights of Shahadah in Belgium,” Dabiq, April 13, 2016, p.7, https://azelin.files.wordpress.com/2016/04/the-islamic-state-22dacc84biq-magazine-1422.pdf. ISIS claimed that Laachraoui began his hijrah (migration) in 2013, joining Syrian rebel group Majlis Shūrā al-Mujāhidīn, and staying with ISIS during the tumultuous split between ISIS and the Nusra Front. When ISIS declared its so-called caliphate in June 2014, Laachraoui was one of the first to pledge allegiance to leader Abu Bakr al-Baghdadi, according to the ISIS eulogy.“The Knights of Shahadah in Belgium,” Dabiq, April 13, 2016, p.7, https://azelin.files.wordpress.com/2016/04/the-islamic-state-22dacc84biq-magazine-1422.pdf. ISIS went on to describe how Laachraoui participated in several ISIS battles, ultimately receiving a leg injury. The article then confirmed suspicions that Laachraoui acted as the bomb-maker for the group’s terrorist attacks in Brussels and Paris, and explains that Laachraoui left Syria in order to “realize his dream of returning to Europe to avenge the Muslims of Iraq and Sham for the constant bombing by crusader warplanes.”“The Knights of Shahadah in Belgium,” Dabiq, April 13, 2016, p.7, https://azelin.files.wordpress.com/2016/04/the-islamic-state-22dacc84biq-magazine-1422.pdf. In addition to the March 2016 attacks in Belgium, Laacharoui is also tied to the November 2015 ISIS attacks in Paris, which targeted restaurants, cafes, a sports stadium, and a concert hall, killing 130 and wounding 350. 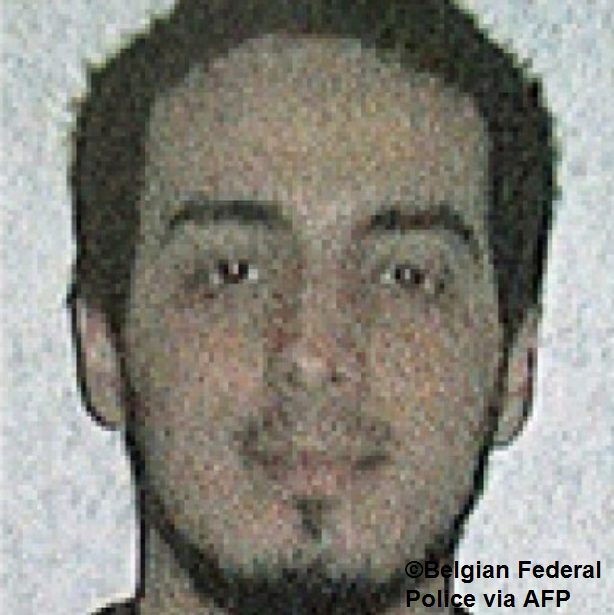 According to intelligence officials, Laachraoui’s DNA was found on several suicide belts used by ISIS assailants during the coordinated Paris gun and bomb attacks.Associated Press, “Belgian broadcaster identifies 2 suspects in attacks,” Washington Post, March 23, 2016, https://www.washingtonpost.com/world/europe/belgian-broadcaster-identifies-2-suspects-in-attacks/2016/03/23/18490138-f0c9-11e5-a2a3-d4e9697917d1_story.html?tid=a_inl. The morning of the Paris attacks, a taxi picked up Laachraoui and two others from a house in Schaerbeek where police later found more than 30 pounds of explosives.Alissa J. Rubin, “Radicalization of a Promising Student Turned Bomb Maker in Brussels,” New York Times, April 8, 2016, https://www.nytimes.com/2016/04/09/world/europe/najim-laachraoui-paris-brussels-attacks.html. Laachraoui’s DNA was also found in a house in the small town of Auvelais, Belgium, raided by Belgian police following the November 2015 ISIS attacks.Adam Taylor, “Who is Najim Laachraoui, suspected Islamic State bomb-maker?” Washington Post, March 23, 2016, https://www.washingtonpost.com/news/worldviews/wp/2016/03/23/who-is-najim-laachraoui-suspected-islamic-state-bomb-maker/. Laachraoui’s DNA has also allegedly been found near the central Belgian city of Namur, and at a suspected hideout in the Brussels neighborhood of Schaerbeek.Angelique Chrisafis and Jon Henley, “Brussels suicide bombers identified as police hunt suspect caught on CCTV,” Guardian (London), March 23, 2016, http://www.theguardian.com/world/2016/mar/23/brussels-suicide-bombers-named-el-barkaoui-brothers. Laachraoui is believed to be a returned foreign fighter from Syria. Born in Morocco, Laachraoui grew up in Schaerbeek, Belgium, where he reportedly attended a Catholic high school and studied electromechanical engineering.Adam Taylor, “Who is Najim Laachraoui, suspected Islamic State bomb-maker?” Washington Post, March 23, 2016, https://www.washingtonpost.com/news/worldviews/wp/2016/03/23/who-is-najim-laachraoui-suspected-islamic-state-bomb-maker/. In high school, Laachraoui wrote that he hoped Islam would not be judged too harshly for its views on slavery and stoning. According to his teachers, Laachraoui began to wear traditional Salafist Islamic clothes during his senior year and began refusing physical contact with women. After high school, Laachraoui enrolled in the Université Libre de Bruxelles, but dropped out after a year. He enrolled in another school but also soon dropped out. According to court records, Laachraoui fell under the influence of a street preacher named Khalid Zerkani, who is imprisoned in Belgium for recruiting young men to jihadist causes in Syria.Alissa J. Rubin, “Radicalization of a Promising Student Turned Bomb Maker in Brussels,” New York Times, April 8, 2016, https://www.nytimes.com/2016/04/09/world/europe/najim-laachraoui-paris-brussels-attacks.html. According to the Belgian prosecutor’s office, Laachraoui traveled to Syria in February 2013. By 2015, however, he had returned to Europe.Adam Taylor, “Who is Najim Laachraoui, suspected Islamic State bomb-maker?” Washington Post, March 23, 2016, https://www.washingtonpost.com/news/worldviews/wp/2016/03/23/who-is-najim-laachraoui-suspected-islamic-state-bomb-maker/. In September 2015, Laachraoui reportedly traveled to Hungary with Paris attacks suspect Salah Abdeslam.Matthew Weaver, “Third ‘suspect’ named,” Guardian (London), March 23, 2016, 7:51 EDT, http://www.theguardian.com/world/live/2016/mar/23/brussels-attacks-police-search-airport-bomb-suspect-live?page=with:block-56f24832e4b0d8d383385b70#block-56f24832e4b0d8d383385b70. At a border stop between Austria and Hungary, Laachraoui reportedly presented fake identification documents using the name “Soufiane Kayal.”Adam Taylor, “Who is Najim Laachraoui, suspected Islamic State bomb-maker?” Washington Post, March 23, 2016, https://www.washingtonpost.com/news/worldviews/wp/2016/03/23/who-is-najim-laachraoui-suspected-islamic-state-bomb-maker/. A call intercepted by Belgian investigators indicates that two men—one of whom used the false name “Soufiane Kayal”—were senior ISIS operatives who directed the Paris attacks from Brussels.Paul Cruickshank, “Paris attacks: Directives came from operatives in Brussels, investigators say,” CNN, January 7, 2016, http://www.cnn.com/2016/01/07/europe/paris-attacks-brussels-operatives/. Abū Idrīs al-Baljīkī“The Knights of Shahadah in Belgium,” Dabiq, April 13, 2016, p.7, https://azelin.files.wordpress.com/2016/04/the-islamic-state-22dacc84biq-magazine-1422.pdf. Najm al-‘Ashrāwī“The Knights of Shahadah in Belgium,” Dabiq, April 13, 2016, p.7, https://azelin.files.wordpress.com/2016/04/the-islamic-state-22dacc84biq-magazine-1422.pdf. “Soufiane Kayal.”Adam Taylor, “Who is Najim Laachraoui, suspected Islamic State bomb-maker?” Washington Post, March 23, 2016, https://www.washingtonpost.com/news/worldviews/wp/2016/03/23/who-is-najim-laachraoui-suspected-islamic-state-bomb-maker/.